For the second time, multicultural radio network Fairchild Radio Group, with local operations in Vancouver (AM1470 & FM961), Calgary (FM947) and Toronto (AM1430 & FM889), put the spotlight on the autism spectrum, a neurodevelopmental disorder that affects millions of people around the world. From September 17 to 24, Fairchild Radio's "Autism Awareness Week" featured interactive forums with medical and psychological experts and interviews with parents and councilors of autistic children. A charity sale was also organized in Vancouver to raise fund for Autism Speaks Canada. 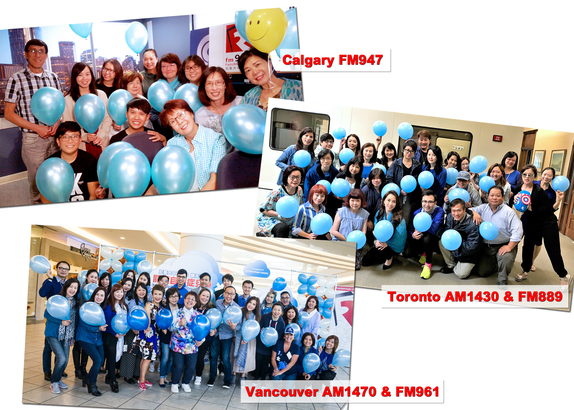 And to remind people that we are all for one to support people and families affected by the autism spectrum, the DJs and staff in all 3 cities wore blue for a day to commemorate this meaningful event. Fairchild Radio’s "Autism Awareness Week" was once again partnered with Autism Speaks Canada, the the leading autism organization in Canada dedicated to raising money to support autism research, awareness, advocacy and family/community services. 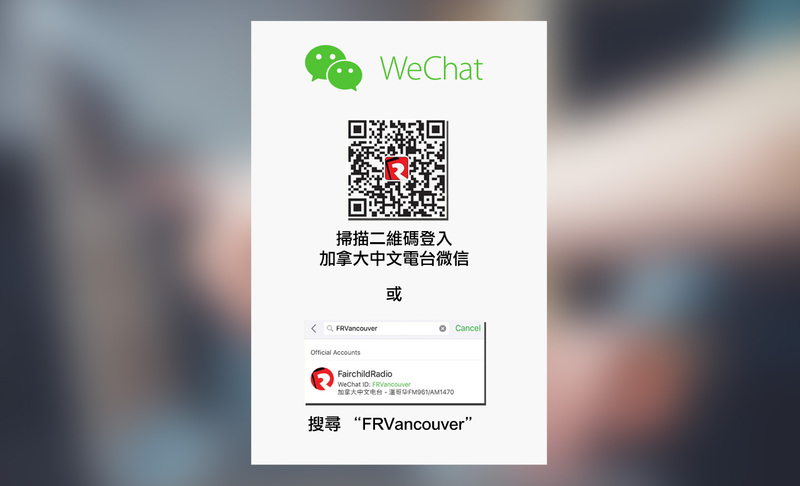 Building on last year's experience, the news and programming teams at Fairchild Radio's regional offices invited experts to go on air, educating the stations' Chinese speaking listeners on autism spectrum disorders and the challenges many autistic people face on a day to day basis. The panel of experts that was interviewed this year ranged from psychologists, behavior therapists, a retired grade school principal, a representative from BC’s Ministry of Children and Family Development as well as parents of autistic children. Then on September 22 from noon to 4pm, Fairchild Radio’s Vancouver operation took advantage of its location in a busy mall to set up a booth selling fundraising items. Within four hours, the radio station successfully raised over $2,265 to benefit Autism Speaks Canada and created a lot of buzz on the social media. Autism is a less talked about neurodevelopmental disorder. Many parents who have children with autism avoid talking about it, fearing their children will be labeled and stereotyped. But in reality, autism or autism spectrum disorder (ASD) is very common, affecting people of all ethnic backgrounds around the world. According to the data of Autism Speaks, the U.S. headquarters of Autism Speaks Canada, 1 in every 68 children in the United States is diagnosed with ASD and the number is on the rise. In the past 40 years, the number has increased 10 times, and in the last 10 years alone, the number has doubled.